It is scarily easy to make the focal point of your life a calendar. Constantly planning the next trip, the next catch up with friends and the next break from work. I find myself always counting down the days to ‘something more’. Sometimes, something more appears for a fleeting moment and then there I am, counting down the days again. First it is Christmas, then New Year, followed by reading week, Easter, summer and before you know it, you’re back to Christmas again. I become so immersed in the process of counting, that I almost forget to enjoy the moment I had been counting down to. I forget to cherish it with everything I have. 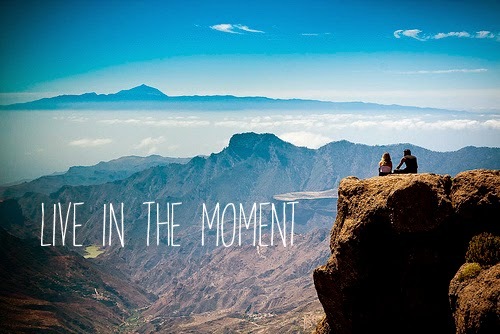 It is such a famous saying, ‘live in the moment’, yet I so willingly ignore it. At twenty years old I can see myself wishing my life away, as I have done for as long as I can remember. I couldn’t wait for school to be over, or A Levels and now I am dreaming of a day when university work stops being the bane of my life. I forget about the little things, the small events that make each day amazing. Starbucks dates with my friends, evening phone calls from my boyfriend, or a good grade in an essay. These are the things that can make my day, yet they can easily go unrecognised, mainly because I am too preoccupied waiting for the next big thing. I have come to the conclusion that this is an important lesson to learn in life, to appreciate the moment and stop wishing time away. Life has begun and sometimes it is easy to let it pass you by. Anyhow, I am studying history, not maths. There is definitely no need for me to do all this counting.